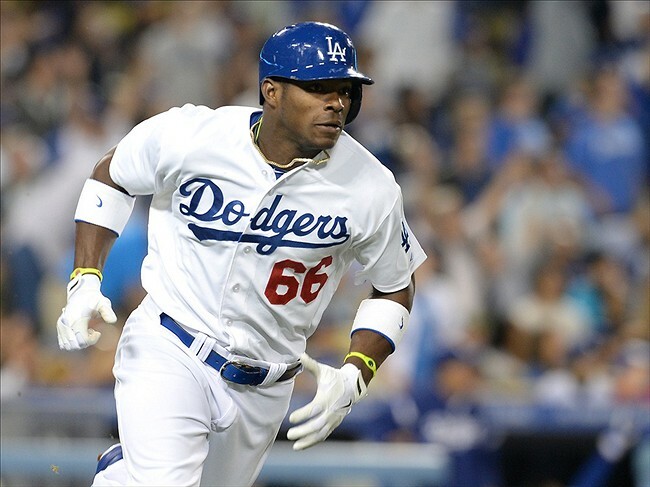 Yasiel Puig remains Smokin' Hot! Betting on baseball can be difficult without the right knowledge base. You cannot just bet on the better team because even the worst teams will beat the best teams sometimes. Baseball betting is considered more risky than football bets by some but this is because evaluating baseball teams and players is tougher than in football. Developing the skills to properly evaluate baseball teams and players is not difficult. There are great information sources that provide all the information you need.Once you have an understanding of the most predictive skills and statistics betting on baseball becomes a whole lot easier. With great information in hand you only need to follow a few simple steps to pick a winner. The first and most important tip for anyone wants to know how to bet on baseball is to base your pick on a strong starting pitcher. The starter you choose should have a strong track record of success on a team that is performing well. Your pitcher should also have a strong strikeout rate, great control and command and preferably be a groundball pitcher. When considering your starter you may also want to consider the stadium's park factors. Is it a hitter's park like Coors Field (notoriously tough for even the best starters) or a pitcher's park like Petco Field, where even mediocre starters will often experience success? It also helps to pick a pitcher with a strong defense behind him. Choosing the right starting pitcher in a favorable situation is half the battle for winning baseball bets. Starting pitchers rarely finish games these days. This means that your starter depends on a strong bullpen performance to bring home the win. It is very important to check the last week or so of box scores to examine how often the key members of the bullpen have been used and whether their appearances have been of the extended variety. If the closer and other key parts of the bullpen have been used more than the usual innings or several days in a row you will want to consider picking a starter with a more rested bullpen. Nothing hurts more than having your starter pitch great only to lose your bet because the bullpen blew the save. Even the best starter in a great environment can be beaten if he faces a great lineup that also happens to be smoking hot. Try to pick a starter facing a team that is not clicking on all cylinders. This does not necessarily mean the team with the worst overall record. You want an opponent whose lineup is not scoring many runs and whose starting starting pitcher lacks the skills you want to see in yours. An opponent with a lousy defense will often beat itself even if your pitcher does not have his best performance. Stack the odds in your favor by picking an opponent that is easy to bet against. Once you have developed solid baseball evaluation skills you will win much more often.